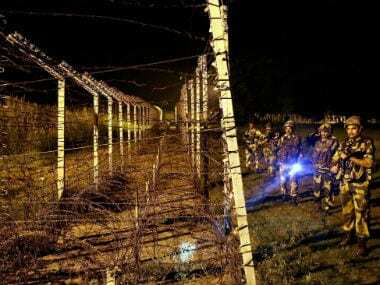 Jammu: After a two-day lull in cross-border firing and shelling, Pakistani troops targeted Indian border outposts along the International Border (IB) in Jammu district on Thursday, a senior BSF officer said. "Pakistan Rangers started unprovoked firing and later shelling in Arnia Sector, targeting BSF posts. The firing continued till this morning", the officer said, adding that Indian troops retaliated effectively. "There was no loss of life or injury to anyone in the firing and shelling", he said.